You know what's better than peeps? Slightly stale peeps! I'm serious people. Peeps that have been left out for a week are ammaaazing. 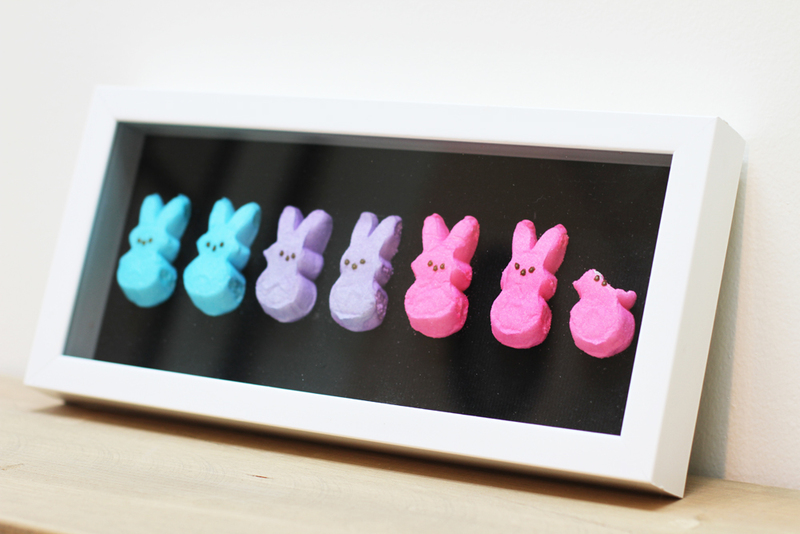 And if you have too many peeps ..... well you can make peep art : ) See the tutorial below. 1. Pull your peeps apart carefully and using a colored marker, color the sides of the peeps where the marshmallow is showing. 2. Position your peeps in place and place a dab of hot glue behind each peep and mount to the frame backer. Take a bite out of the last peep before gluing it down.